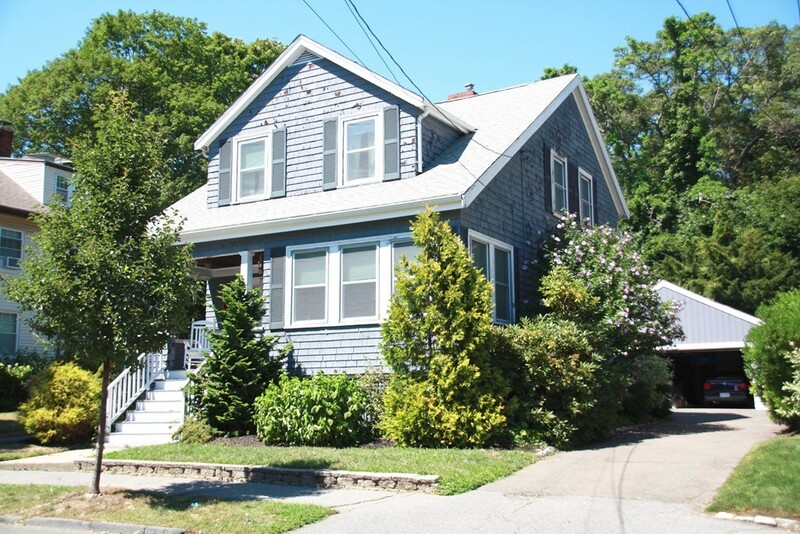 Charming three bedroom 1 1/2 bath Colonial within close proximity to train, schools, shopping ,beach and parks. Many updates throughout including granite kitchen, most new windows throughout , new roof and gutters and new furnace. This home has the luxury of central air and a two car garage which is rare in this price range. Hardwood floors and beamed ceilings throughout first floor. Cozy living room with fireplace with easy access to updated kitchen and dining room. Sunroom off dining area supplies extra sitting area / Den. Half bath off kitchen with access to large deck and yard. Three spacious bedrooms with large closets and storage. Full bath recently renovated on this level. Pull down attic for extra storage. Full basement with Play room recently renovated. Security system installed. Home brewing beer cellar in basement for you beer enthusiast's. Tastefully decorated just move right in and have fun choosing the color of the exterior and making it your own!